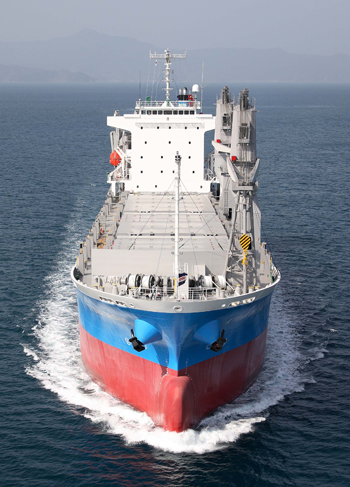 Founded in 1974, Kyowa Shipping Co., Ltd., has provided liner shipping service to the islands of Pacific Ocean for more than 40 years, and presently we have grown to one of the top marine transport companies in our service region. We are able to provide services for a growing variety of goods, such as vehicles and containers, through our fleet of RO/RO multi-purpose ships using rampway. All our ships are managed in compliance with ISM code (international safety management standards). Over the years, we have come to believe that the most important mission of liner services is to provide secure and reliable transport in the midst of sometimes dramatic social and economic change. Our greatest pride as a company is the bond of trust gradually built during our history of steadily supporting the economy and knowledge as trading partners of our customers. We look forward to further strengthening our liner service and expanding our network across the globe.